Improve your well-being with synergistic combinations of crystals, essential oils, and flower essences. These gifts of the Earth resonate at a higher frequency when used together, and they enhance your connection to the divine while also empowering you to live a life of purpose, grace, and vibrational wellness. 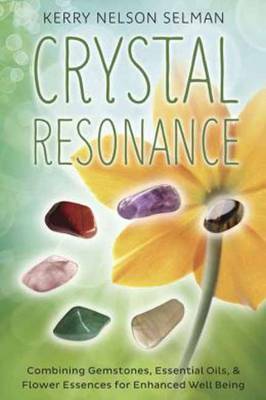 Crystal Resonance explores thirteen crystals and their complementary oils and essences, providing detailed information about the main applications of each, as well as meditations to put it all into action. Focusing on combinations that consistently offer the highest resonances, author Kerry Nelson Selman also clearly shows how the healing works on an energetic level. With enlightening stories from the author and useful meditations, this incredible book will enrich your connection to Higher Self, Spirit, and All That Is.